August 19, 2013 by Ecommerce News. About Acquisition, Cross-border with tags Czech Republic. 2738 views. Food delivery service Foodpanda has launched in the Czech Republic. At almost the same time the Rocket Internet company acquired a competitor in Brazil to strengthen its presence in Latin America, where it’s operating under the name Hellofood. As of today Czech consumers can now place orders on Foodpanda.cz. 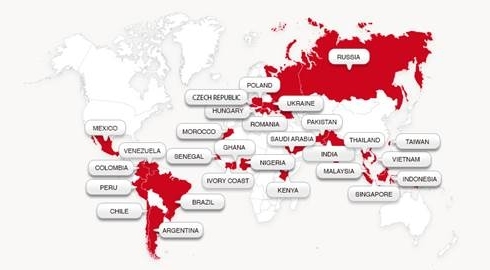 For Foodpanda the Czech Republic became the 28th country (across 5 continents) where its service is up and running. “We are taking a big step in entering another fast emerging market in the Czech Republic. I believe that our ability to move fast in capturing new markets is one of our biggest competitive advantages, and I am sure we will be proven right very soon in the Czech Republic”, says Peter Varga, Co-Founder and Managing Director Foodpanda Czech Republic. Meanwhile, at the other side of the world where Foodpanda operates under the brand name Hellofood, the Rocket Internet company announced the takeover of MegaMenu. The 200 connected restaurants and more than 4000 users will now be integrated into Hellofood.com.br. Foodpanda (or wait, was it Hellofood?) acquired another Brazilian competitor last week. Taking over competitors seems to be the way to operate for this company, as it already made such moves in Asia and Eastern Europe earlier this year. “This is a proud day for us. The two most recent acquisitions in Brazil show that we assert ourselves against local competition. At the same time, we are following through with our international rollout to satisfy global demand, as in the Czech Republic. We have earned our place as the top food delivery platform worldwide”, says Ralf Wenzel, Co-Founder and global Managing Director Foodpanda.